Can I make calls directly from Wealthbox? Yes. 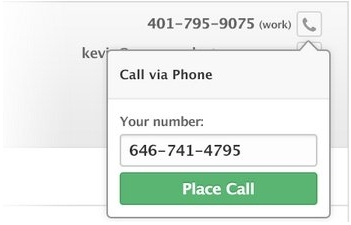 If you click on the phone icon next to a contact's name Wealthbox instantly bridges the call, just make sure to verify your phone number in the three dots of the upper right corner of Wealthbox > Applications > Click-to-Call > Settings. After the call is made, a note is added to your contact’s activity stream.